My name is Savas Boransel, I am a vet and I love my Country, animals and the wild life of the mountains. I also like to share what I have here with like minded people who not only enjoy the environment but respect it as well. We endeavor to keep our space litter free and take great care with the barbecues and disposal of the waste produced by them. All we ask is you too please follow common sense and be careful when using fire or disposing of unwanted materials. See Forest Rules. We have many animal here, whether resident or visiting. There are our own Labradors, donkeys and horses. Passing through from time to time are wild goats. All here for you to enjoy if you wish. 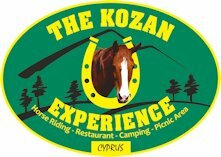 We want you to enjoy the Kozan Experience, whether just having a meal, horse riding or rock climbing etc. Have fun but TAKE CARE.